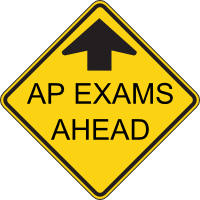 Maggie L. Walker Governor’s School students will be registering for AP exams online using Total Registration. Registration will take only a few minutes and can be completed from any computer with internet access. You will be asked to create a login account so that you will have the ability to reprint your confirmation ticket and add or delete exams, if necessary. 3) Turn in your confirmation ticket to the Counseling Office during the designated times between February 20th and 22nd. Students should attach their payment or online payment receipt to their confirmation ticket. A member of the counseling team will review the registration form and payment with each student. When registering through Total Registration please be sure to select all of your exams and the appropriate teachers. If everything is correct, click “Confirm your Registration“. This will record your registration and display the confirmation page or “ticket”. When you reach the confirmation ticket, print two copies, one for your records and the other to return to school with your payment or online payment receipt. The Counseling Office will collect these items between 11:30 and 3:30 on February 20th, 21st, and 22nd. This year, students will have the option to pay fees through the MLWGS payment system or turn in a check or cash by the same date and time. Each AP exam costs $94.00 and must be paid for before we order exams. A fee waiver or reduction is available for families that meet certain guidelines but must be approved in advance. Please see Dr. Loving in the School Counseling office by Friday, February 15th to inquire about a fee waiver. February 20th – February 22nd – AP Fee and Receipt Collection (11:30am-3:30pm): All students must turn in a copy of the confirmation ticket with their payment/receipt. Students should use lunch or an afternoon study hall to come to pay their fees or turn in a receipt. After 3:30 on February 22nd a late fee of $10 per exam will be charged. March 8th – Exams will be ordered. If you forgot to order an exam an additional fee of up to $55 extra per exam may apply after this date (exam availability not guaranteed). This is the last day to cancel an exam and receive a refund of $84 ($10 administrative fee). April 23rd – Last day to cancel an exam and receive a $69 refund ($25 administrative fee as exams will have been ordered). Requests for refunds after this date will not be honored. Attention Seniors! If you know which college you will be attending in the fall, please carefully review the college’s AP credit policy to determine if the college will accept AP credit for the program in which you are enrolling. If you receive accommodations for a documented disability and have not yet had them approved by CollegeBoard, the deadline to submit this paperwork for 2019 AP Exams is February 22nd. Contact Ms. Davis Cobb at joy.davis@gsgis.k12.va.us. Questions? Please see Dr. Loving, AP Coordinator, in the Counseling office or email her at rloving@gsgis.k12.va.us. You may need to arrange transportation for afternoon AP exams. Exams in the afternoon will not begin prior to 12:00 p.m. and may not be over before 3:30 p.m. Plan accordingly. Exam pre-administration sessions (Bubblefest) will be held April 23rd (seniors) & 24th (juniors, sophomores, and freshmen) in the auditorium during lunch. You must attend a pre-administration session in order to take AP exams.